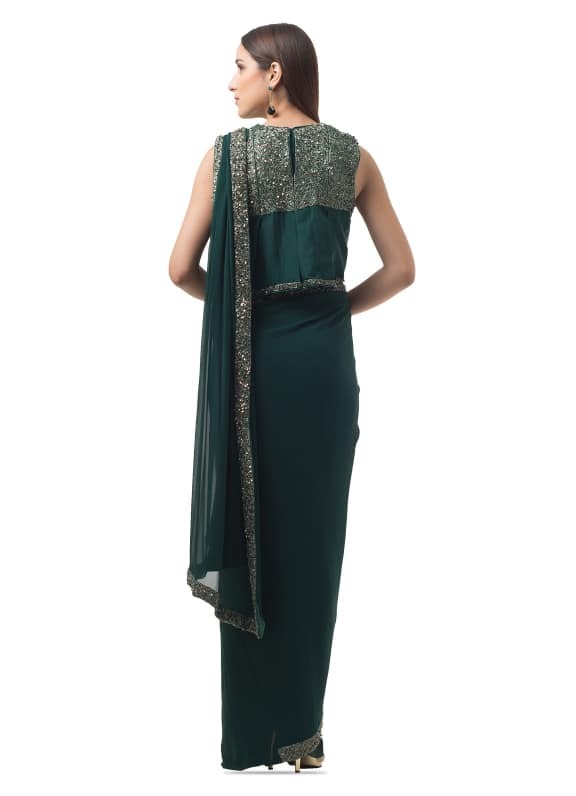 This emerald green concept sari has cut-dana work, both front and back, and a running border throughout the sari. 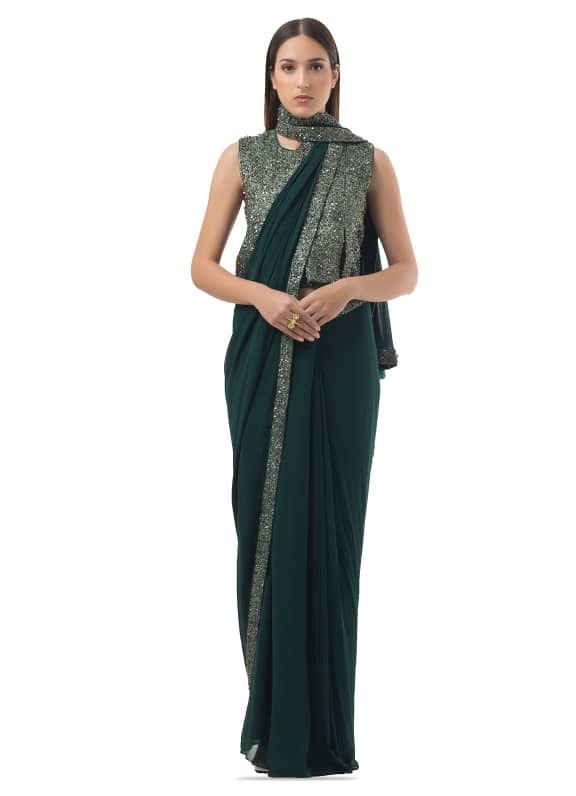 Delicate and feminine, this emerald green concept sari is a must-have outfit for this year’s festive season. 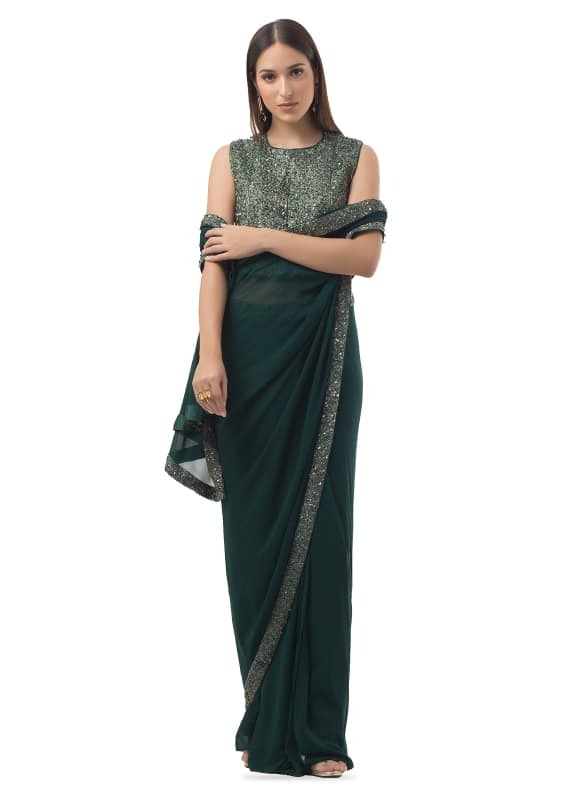 Match the look with a pair of earrings by Maithali Kabre and a ring by Micare.